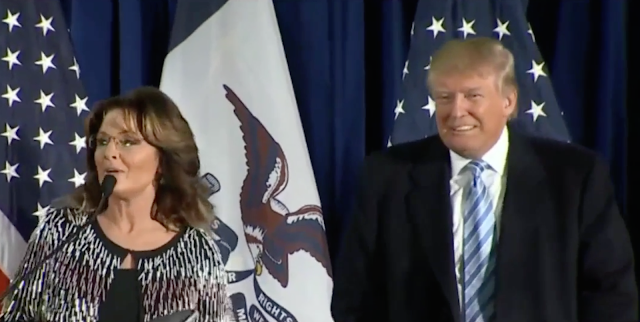 Yesterday former Alaska Governor Sarah Palin endorsed Donald Trump for President. 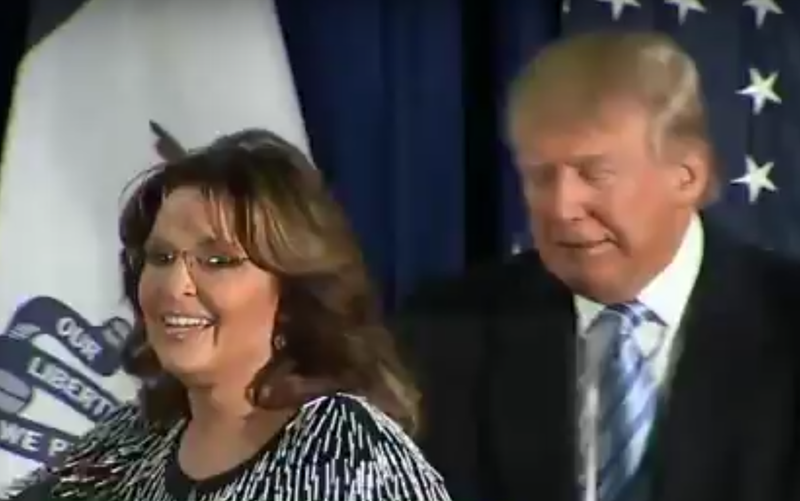 The two call each other friends - yet what does Trump really think of Palin? At the moment just after Mr. Trump introduced Gov. Palin in Ames, Iowa - he displayed a highly characteristic expression of a fear-regret combination. Although the resolution is not superior, these expressions are definitive. Please view the above video from 52:40 to 53:24 to more fully appreciate the dynamic nature of these nonverbal clusters. Trying to smile in the midst of continued fear and regret. Although Trump may vary well value Palin's endorsement, he does not really want her to speak for him. This is an outstanding nonverbal example demonstrating that, when people are far from their emotional base-line, the emotion they think they're projecting is almost never what they desire or believe it to be. Nonverbal Communication Analysis No. 3301: Sarah Palin re: Bush vs. Trump regarding speaking Spanish - "When you're here, let's Speak American!